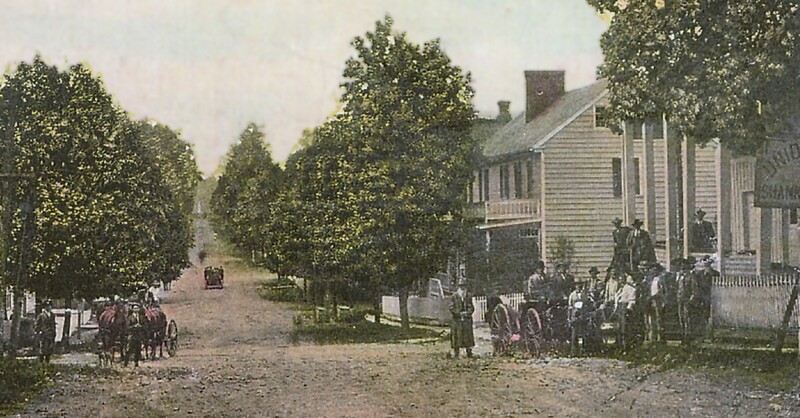 The story of the first car as told by Virginia Lynch Herring of Union, West Virginia…..The arrival of Monroe County’s first automobile was a sight to behold, according to her memories. The arrival had been anxiously awaited and a crowd had gathered to welcome the first car purchased by Will Lynch in 1909. It was a 1909 Cadillac and it was delivered by a man from the company in Michigan from whom he bought the car. He drove the shining beauty through the country and stayed at Union about six weeks to teach Mr. Lynch’s drivers to drive and maintain the car. Will Lynch never drove the car, but the two men who drove the car were Joe Miller and Cecil Tracy. Mr. Lynch would take his friends out for a drive and when the people that lived in the country would get word that he was traveling their way, they would gather outside to see the car. The proper attire for both men and women was a long coat called a duster. In 1910, Mr. Lynch was required by law to purchase an automobile license for the car. The cost was $10. The former County Clerk, Samuel Clark was responsible for the preservation of Monroe County’s first auto tag. He salvaged it from a local garage and made it a public record on his office door. The license plate (with the number 515) is now in the possession of the Monroe County Historical Society. Later on, Will Lynch sold the Cadillac to Virginia Lynch’s father, N. K. Lynch. In those days you put your car away for the winter….took the wheels off of it, not so much the wheels but the tires and hung them up so they did on touch the earth at all and propped the car up on wooden blocks. Our car was just put away for the winter when Joe Miller, the man who drove the car, asked Dad if he could borrow the car. He had a date with a girl at Sinks Grove. Dad told Joe the car was put up for the winter, but if he wanted to take the trouble of putting the tires on and fix it up that it would be all right with him. Joe was over in the garage working on the car and he got down under the car to do something to it and he must have given it a jerk because the car fell off the blocks of wood on him and he was crushed. I suppose that was the first car casualty in Monroe County. The second car purchased in Monroe County was owned by Robert Clark, a lawyer in Union. It was an International with high wheels. The next two cars bought in Union were the Overland cars purchased by Sidney Johnston and was driven by his sons Malcolm and Sidney in 1913 and C. L. Johnson, his car was driven by his daughter Connie (Mrs. Samuel Clark) and his son Herman. Mr. Will Peters bought an Oldsmobile and Dr. James Roles bought a Ford. Story from Eunice Boon Smithson of Union, West Virginia….. Eunice Smithson’s father was Arthur Boon who ran a Buggy Agency at Lindside but later obtained the Ford Agency with C. P. Greene as his partner. One day Henry Ford and Thomas Edison were touring the area in a two-car caravan and one car became low on gas so they stopped at Mr. Boon’s garage to inquire about gas. As none was available, Mr. Boon drained some from his private car for them. Eunice Smithson’s grandfather, Marion Ballard, who lived at Lindside, was an early owner of an Overland car. Official records show that 170 motor vehicles were licensed in West Virginia during the calendar year of 1905. By 1917 the number had grown to 25,089.